Mr. 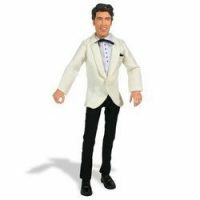 Potato Head continues his tribute to Elvis Presley with the Elvis ’68 Special Mr. Potato Head figure! 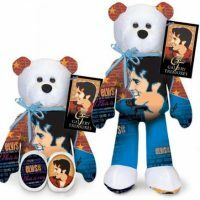 In this second edition of the Elvis Presley Mr. 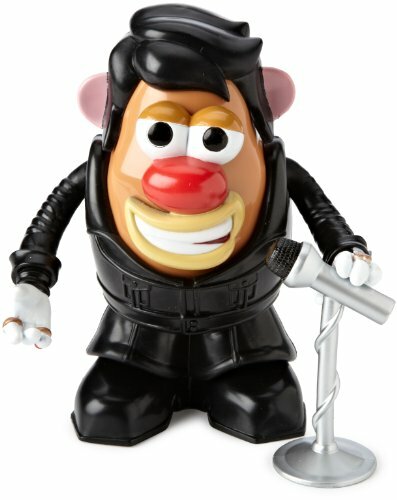 Potato Head series, everyone’s favorite Spud is wearing the black leather outfit worn by The King during his historic 1968 television special. Of course all the components can be mixed up to create a variety of hilarious combinations. 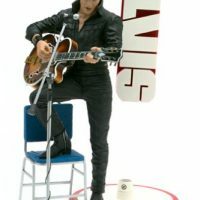 Standing 6” tall, “Elvis ’68 Special” Mr. Potato Head is the perfect size for play or display! 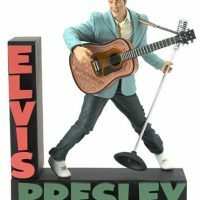 Be the first to review “Elvis Presley ’68 Special Mr. Potato Head” Click here to cancel reply.